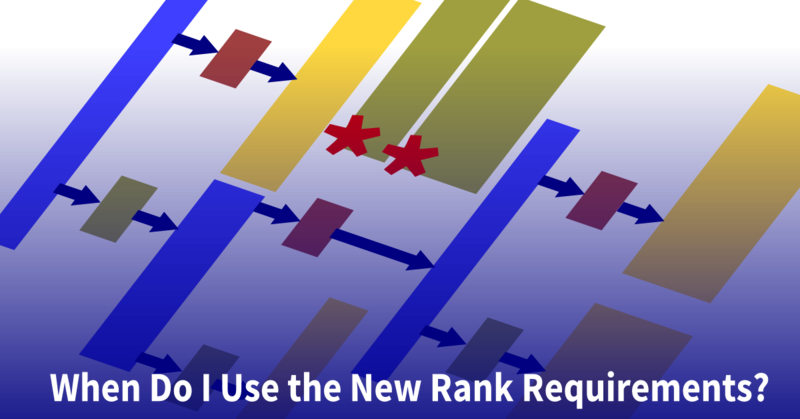 This is second in a series of posts about the new rank requirements that take effect on January 1, 2016. 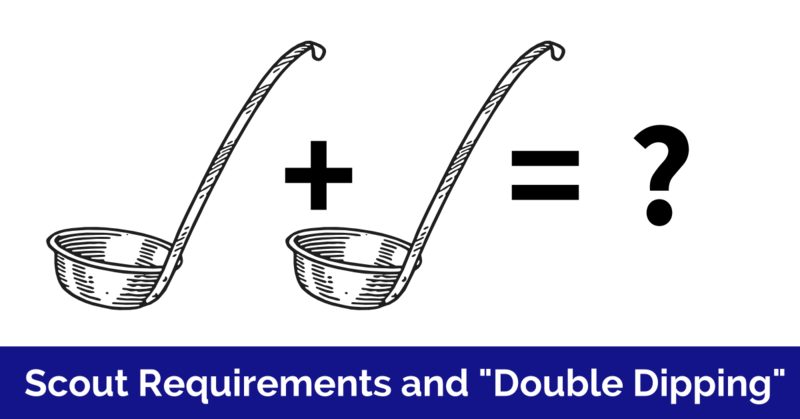 How the new requirements are phased in is explained in this PDF document – Notes on Transitioning to the New Requirements. A few Second class requirements have been reshuffled to Tenderfoot, but I don’t see any really substantial changes here. Here are my reflections on each requirement, followed by an explanation of how I would change them myself. I have to ask which leader the Scout is supposed to present himself to, and what “present” means. Why was “properly dressed” dropped here? “The right way” means there;s only one right way to pack and carry gear, I don’t think that’s true. Unchanged, but as you will see in the other rank requirements the qualifying nights camping are described this way “spend the night in a tent that you pitch or other structure that you help erect (such as a lean-to, snow cave, or tepee).” Does the tenderfoot requirement not allow for this? 1c. Explain the principles of the Outdoor Code and tell how you practiced them on a campout or outing. I have no idea what “the campout” means, this is confusing, it should read, “While on a Campout”. Why was “one of your patrol’s meals” dropped here? 2b. While on a campout, demonstrate the appropriate method of safely cleaning items used to prepare, serve, and eat a meal. This is a new requirement. Calling for “the appropriate method” means there is only one way to do this, and why “safely” cleaning? Is there a rash of accidents in this activity? Slight rewording of “Explain the importance of eating together.” Specifying that patrols eat together is a welcomed change, but the emphasis was removed in 2a, this is confusing. 3b. Demonstrate a practical use of two half hitches. Change from “Demonstrate that you know how to tie the following knots and tell what their uses are: two half hitches and the taut-line hitch.” I don’t know why we’d have Scouts learn these knots as a part of Scout rank and not have them demonstrate one practical use (rather than three, for instance) until Tenderfoot, makes absolutely no sense to me. Unchanged, but moved from Second Class. This is an example of a heading that I think is kind of silly – First aid and Nature? You won’t see this heading used in the other ranks. Why not two separate headings that are used consistently in all ranks? Slight rewording of the existing requirement. Rewording of “Identify local poisonous plants; tell how to treat for exposure to them.” What, precisely, are “hazardous” plants? 4c. Tell what you can do while on a campout or other outdoor activities to prevent or reduce the occurrence of injuries or exposure listed in Tenderfoot requirements 4a and 4b. This is a new requirement. I think it is poorly written. Do I need to say how to prevent each of these things specifically? Why separate discussion of preventative measures when they could be discussed during 4.a and b? This is transplanted from Second Class. Rewording and expansion of previous “Prepare a personal first-aid kit to take with you on a hike.” Again, I don’t think this is very well thought out, but I have a solution I explain in below. Amended the previous requirement “Explain the importance of the buddy system as it relates to your personal safety on outings and in your neighborhood. ” This should be moved to the Scout Rank. 6c. Show improvement (of any degree) in each activity listed in requirement 6a after practicing for 30 days. Modified stretch and sit replaces long jump in previous requirement and some specificity is introduced. 7b. Participate in a total of one hour of service in one or more service projects approved by your Scoutmaster. 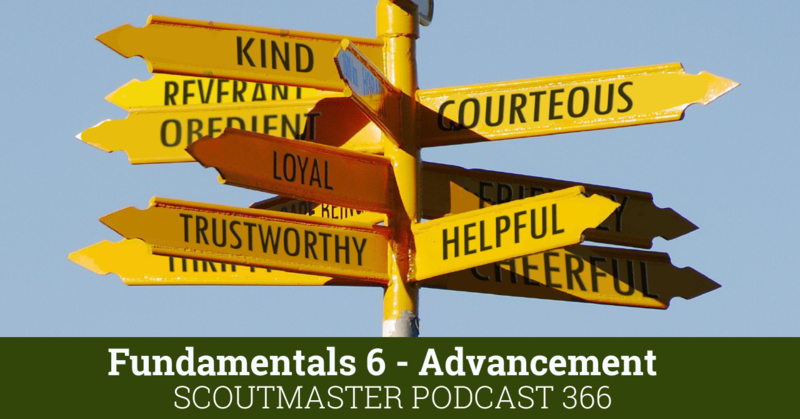 Explain how your service to others relates to the Scout slogan and motto. Slight rewording of the previous requirement; “Using the EDGE method, teach another person how to tie the square knot.” Why a square knot? Awkwardly worded, and a whole lot stuffed into a single sentence. Rewording of the existing requirement; “Participate in a Scoutmaster conference.” Needlessly confusing. 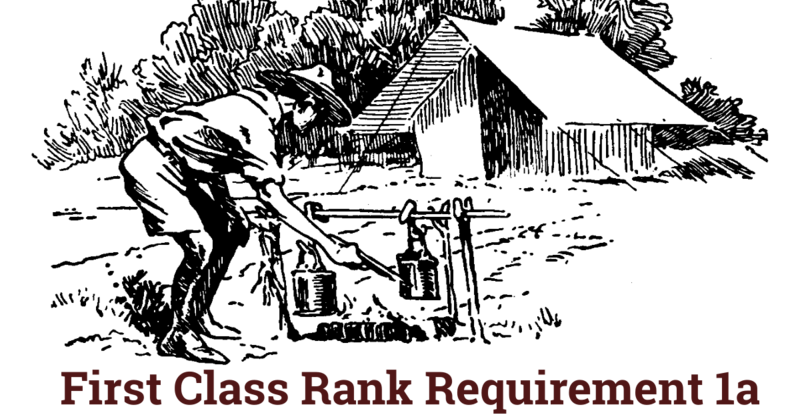 The requirements for the Tenderfoot, Second Class, and First Class ranks may be worked on simultaneously; however, these ranks must be earned in sequence. 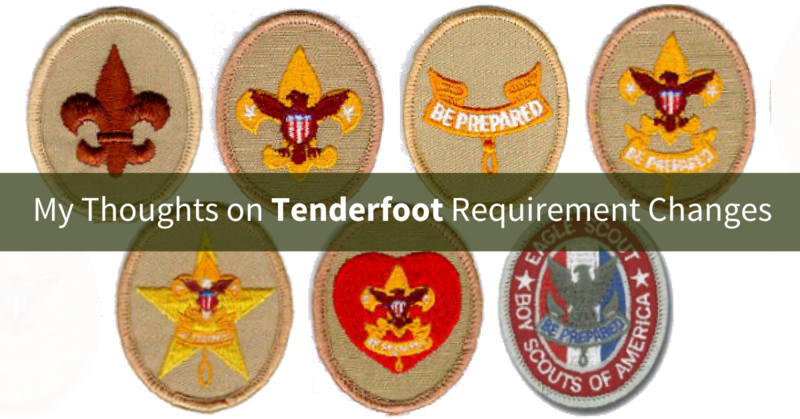 Alternative requirements for the Tenderfoot rank are available for Scouts with physical or mental disabilities. How I would do it! I’ve left numeric and letter designations off the requirements below, I know they are probably needed, but I never liked them, they look tiresome. Spend at least one night on a patrol or troop campout and sleep in a tent or shelter that you have helped set up. *You must spend the night in a tent that you pitch or other structure that you help set up (such as a lean-to, snow cave, or tepee). Participate in an inspection of your personal and camping gear by your patrol leader before going on an overnight camping trip. Explain the principles of the Outdoor Code. Tell how you followed the Outdoor Code principles you explained on a campout or outing. Assist in preparing a meal for your patrol while camping. Demonstrate how to safely clean the gear used to prepare, serve, and eat a meal. Explain why it is important for all patrol members to share in meal preparation and cleanup. Demonstrate how to care for and sharpen a pocket knife and a cooking knife. Demonstrate the safe use of pocket knives and cooking knives. Discuss when and where to use pocket knives and cooking knives. Demonstrate how to care for a camping saw. Demonstrate the safe use of camping saw. Discuss when and where to use a camping saw. Demonstrate how to care for and sharpen an axe or hatchet. Demonstrate the safe use of axes and hatchets. Discuss when and where to use an axe or hatchet. Assemble a personal first-aid kit. Exposure to poisonous or hazardous plants. Describe common poisonous or hazardous plants that you may encounter while camping. Demonstrate how to treat for exposure to the poisonous or hazardous plants you identified. Explain the importance of the buddy system on outings with your patrol. Explain the importance of the buddy system in your neighborhood. Use the buddy system while on a troop or patrol outing. Explain the rules of safe hiking on the highway during the day and at night. Explain the rules of safe hiking cross- country during the day and at night. Make a 30 day written plan to keep track of how you practice and improve how well you can do the physical tests. After 30 days take the tests again. Pass this requirement by showing any level of improvement in all four tests. Explain how to display the U.S. flag properly on a wall, in an auditorium, and being carried in a parade. Demonstrate how to raise and lower the U.S. flag. Demonstrate how to fold the U.S. flag. Participate in a total of one hour of service to others. The hour can be completed in one or more events or projects. Each event or project must be approved by your Scoutmaster to be credited to fulfilling this requirement. Explain how your service to others relates to the Scout slogan. 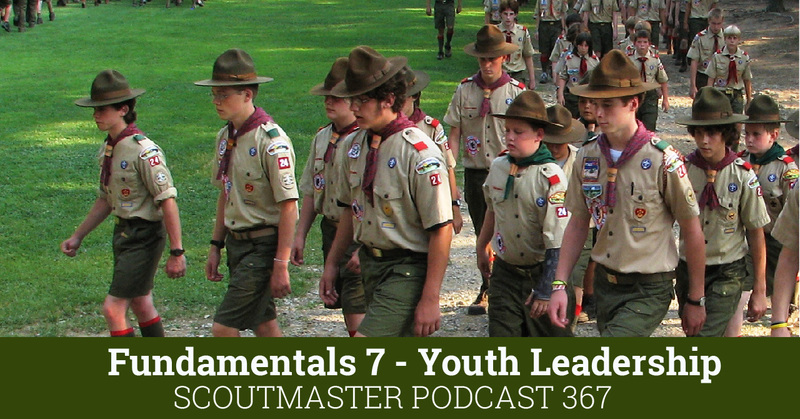 Explain how your service to others relates to the Scout motto. Explain the four steps in Scouting’s Teaching EDGE method. Use the Teaching EDGE method to teach another person how to tie a knot of your choice. Demonstrate Scout spirit by living the Scout Oath and Scout Law. Tell how you have done your duty to God. Tell how you have lived four different points of the Scout Law in your everyday life. The Scoutmaster conference can be conducted any time after you have completed the Scoutmaster conference for Tenderfoot. During the Scoutmaster conference you will not be re-tested on the requirements you completed. You will be asked to discuss your experiences with your patrol and troop. During the board of review you will not be re-tested on the requirements you completed. You will be asked to discuss your experiences with your patrol and troop. It is odd to have the Board of Review listed as a requirement. It is not a requirement, it is a review. Those are separate parts of the advancement process. Re: What are hazardous plants? Lets start with Cow Parsnip, Devils Club, Stinging Nettle. They may not make you dead but will take a bit of fun out of a campout. It is a better requirement than making the scouts here know what Poison Ivy, Oak, and Sumac are as they do not grow our state.